Adam Vose O’Neal is a Licensed Clinical Social Worker in Providence, RI with expertise in addiction and substance abuse, anxiety, depression, academic issues, self harm, and relationship challenges. He sees teenagers, young adults, college and graduate students, and adults. Adam Vose-O'Neal is a Licensed Independent Clinical Social Worker with particular specialty in addictions and substance use, as well as general expertise in depression, anxiety, life transitions, existential questions, and relationship challenges. He sees teenagers through adults, and has a particular passion for seeing college students and young adults who are trying to figure out who they want to be and what they want to do in life. Adam is particularly well-versed in Narrative Therapy, a modality that identifies the problem as the problem, not the person as the problem. 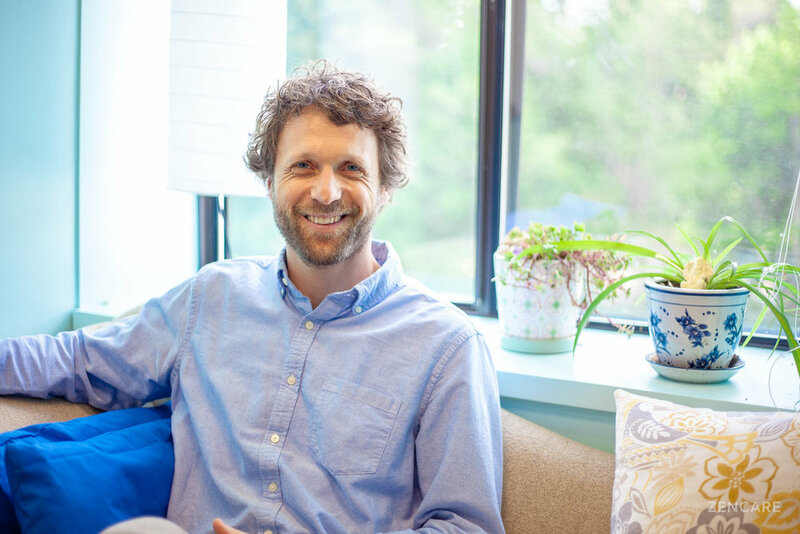 Through Narrative Therapy, Adam helps clients separate their problems from themselves, identify their values, and connect the events in their lives to reclaim their life stories. 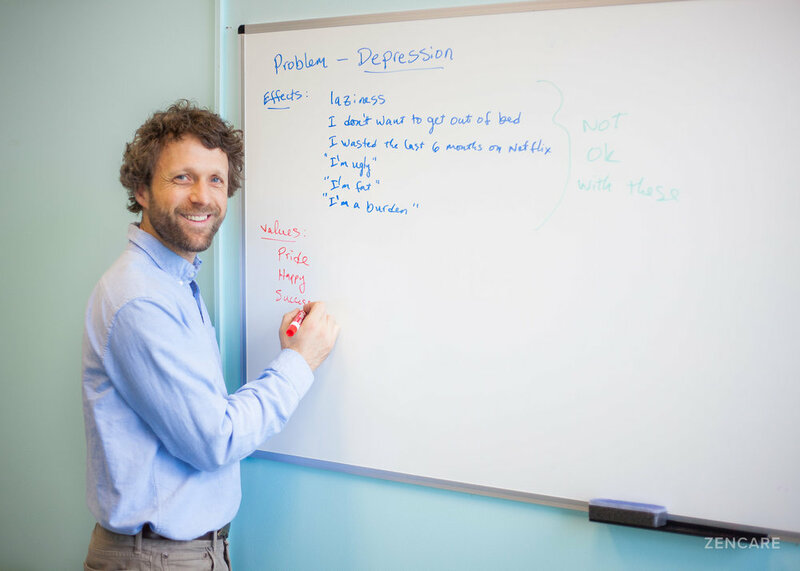 He often uses the dry erase board to work through these thought exercises with clients and occasionally writes short letters to clients after the appointment as a bridge between sessions. In addition to private practice, Adam works at partial programs at Butler Hospital, including the Young Adult Partial Program, and previously interned at Providence College's Counseling Center and the Rhode Island Hospital Substance Abuse Service. He dedicates himself to creating a collaborative therapeutic relationship that is solution and insight focused, honest, and down-to-earth. He is a graduate of Boston University and U. Mass Amherst. Sliding scale: A sliding scale of $80 - $150 is offered to clients who need a reduced fee to receive therapy. Therapist's note: Adam can provide you with paperwork for reimbursement from your insurance company if you are seeking out-of-network sessions. "I think of therapy as conversations that help people address the problems that are interfering with their lives. I help clients separate from these problems and support them in moving towards what they care about most--their values, hopes and dreams. I believe that the best therapy is a collaborative process where the therapist and the client share in the investigation of the the client’s concerns and the potential solutions. I ask exploratory questions that lead clients toward insights and discoveries. Together we develop simple, achievable action plans." Adam possesses a true passion for the work he does, an investment in his patient’s/client’s wellbeing, and the clinical curiosity to foster his patient’s/client’s progress and ultimate success. 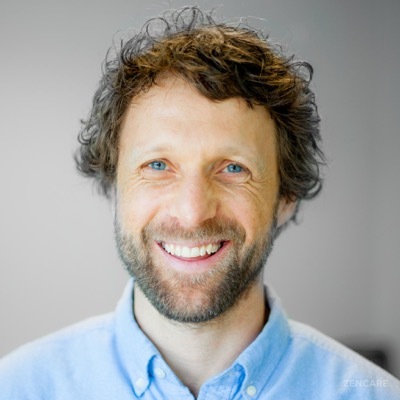 Adam is a very compassionate and committed therapist who has shown to have excellent clinical skills. 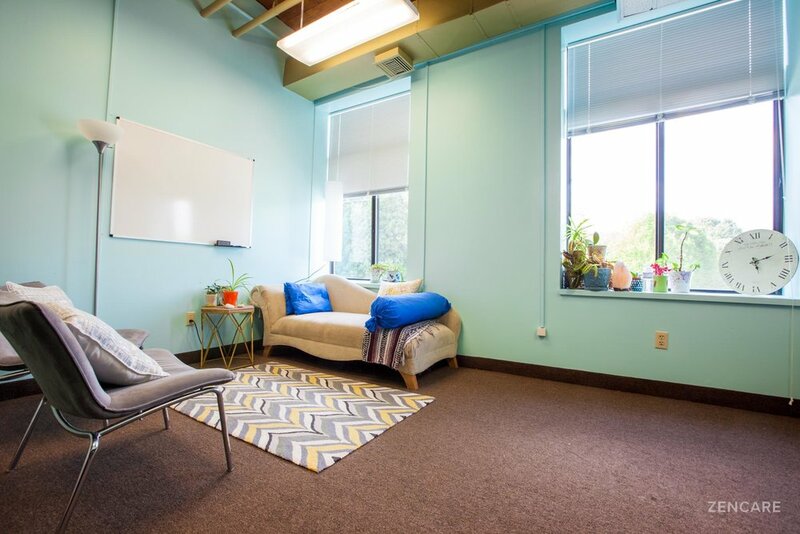 He has a specialty in Addiction treatment, as his placement was with a Substance Use consult service where he was able to develop and hone his substance use assessment and recommendation skills as well as mental health/risk assessment skills. Adam has a very holistic approach and values the input of his clients a great deal. He understands stages of change as well as life stages, and associated issues/concerns, especially within the young adult population. He has shown himself to be very committed to the field of counseling/psycho-education and continues to further develop these tools through ongoing educational opportunities. I had the pleasure of recommending Adam for his first step in the Licensure process for his LCSW. He is an exceptional clinician. He demonstrates thoughtful and ethical care of clients.